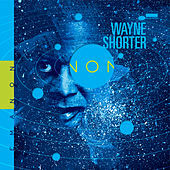 It's hard to overstate Wayne Shorter's influence as a saxophonist and composer -- he has rightfully earned a place as a jazz legend. 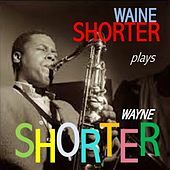 His tenor playing draws on the enhanced Bebop virtuosity of John Coltrane, minus the brittle edge; Shorter's playing has such a flowing feel that he almost seems to be composing heads to a tune in real-time when he improvises. He was groomed to be perfect in any setting. As a featured soloist and music director in Art Blakey's Jazz Messengers, he mastered the raw, bluesy feel of Hard Bop, moving on to Post Bop in 1964 after joining Miles Davis's influential late '60s quintet. He then helped to pioneer jazz-rock Fusion when he formed Weather Report in 1970. Many of his songs are required learning for aspiring jazz musicians, such as the bluesy "Footprints." But it doesn't take a musician to understand the expansive beauty of a ballad like "Fall." Both songs exhibit his innovations: with one foot in the blues, Shorter expanded the scope of a jazz composition and added complexity to its chords -- but he did it with such melodic perfection that he didn't leave listeners behind, as many of his contemporaries in the '60s did.